Mr.Tony .O. Elumelu is the Chairman of Heirs Holdings, the United Bank for Africa, Transcorp and founder of The Tony Elumelu Foundation. Elumelu holds the Nigerian national honours, the Commander of the Order of the Niger (CON) and Member of the Order of the Federal Republic (MFR). He was recognised as one of "Africa's 20 Most Powerful People in 2012" by Forbes magazine. Born March 22, 1963. Mr. Elumelu is a Nigerian billionaire businessman, an economist/banker by profession, an advocate of Pan-Africanism, an entrepreneur, a philanthropist and an investor. Also, a front-runner in empowering young people and is committed to raising a generation of successful entrepreneurs across Africa through the Tony Elumelu Entrepreneurship Programme TEEP. Mr .Elumelu has recieved several awards and honors including the Dwight D.Eisenhower Global Entrepreneur Award. 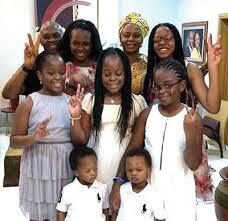 He is happily married to Awele Vivian Elumelu, a medical doctor and they have seven (7) children. 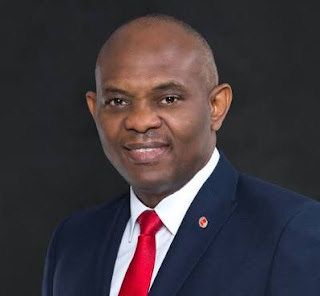 Mr. Elumelu is our CEO of the week.